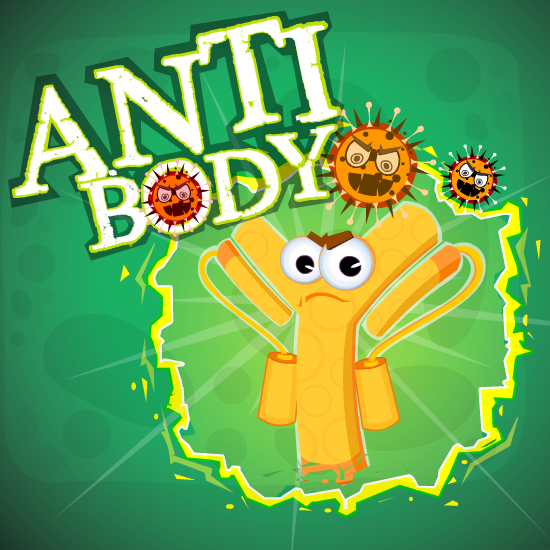 Defend against the viruses with Mr. Antibody!. Click to attack and kill currently killable viruses. Killable viruses are indicated at the top. If you pickup pills, you would be able to fry all the viruses you touch for a limited time. Meet the level target to level up. You can upgrade at the level up page which enables you to fry selected enemies by touch. Lets defend.